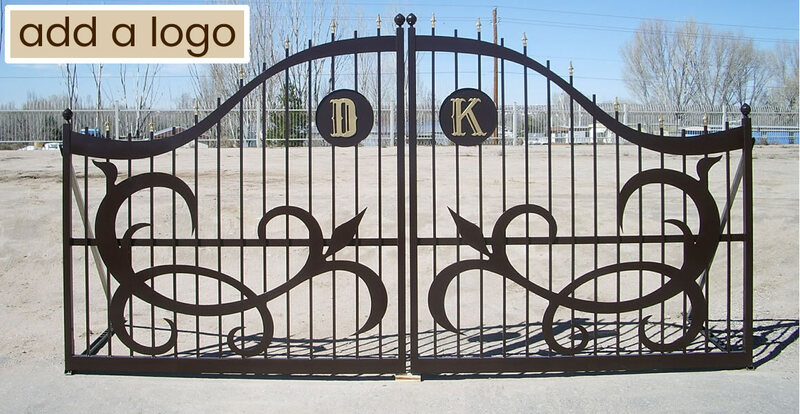 HUGE INVENTORY REDUCTION SALE 50% OFF DRIVEWAY GATES WHILE SUPPLIES LAST Fence Panels on Sale! 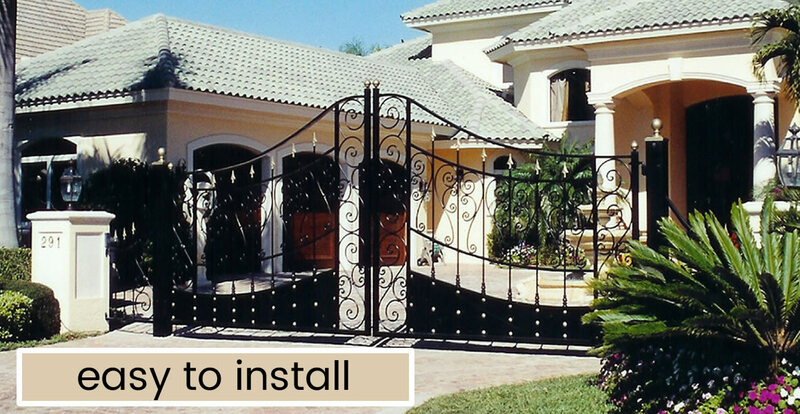 Our complete package of wrought iron driveway gates, fence, garden gates, and automatic gate openers has been designed for a seamless DIY installation. But don't take it from us—look at what our amazing customers say about us. 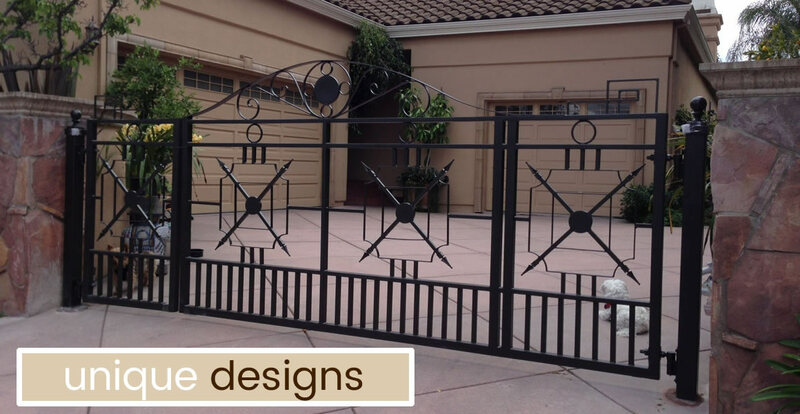 We know you have a choice when it comes to your ornamental wrought iron driveway gates, garden gates, fence, and automatic gate openers. We stand behind the high quality of our gates and fence and offer a 10 Year Warranty on our Galvanized steel gates and fences. "I can't tell you how impressed I have been with the entire process. From the design stage, to delivery to the support on the phone. What a smooth well calculated process. And for the packaging and shipping you should call your shipping department the Amazing shippers. Wow were we impressed. As for the install, well, for a do-it-yourselfer like I am it was as easy as 123. We love our electric gates." "I installed my gates today. I have probably run over a million feet of fence in my life and hundreds of electric gates. I must tell you that these were the easiest gate I have ever worked with. I did the whole job by myself. Once they were hung they were off just a little. After a few adjustments with the hinge bolts they are perfect. I can't believe that it was so easy. Thank you so much." 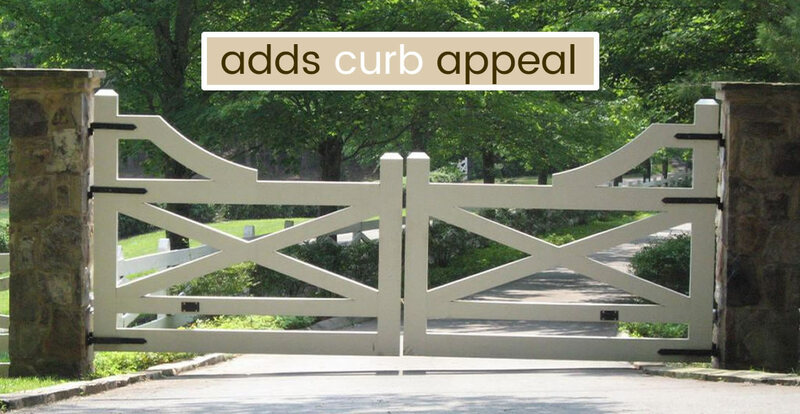 "We have received a lot of nice comments about the gates and the fence on the wall... I really thank you ever so much for the outstanding support and advice. We consider ourselves very fortunate to have found you and worked with you. So in all, I wanted to let you know that you are great people to work with and I will be happy to be your reference to any of your future customers." 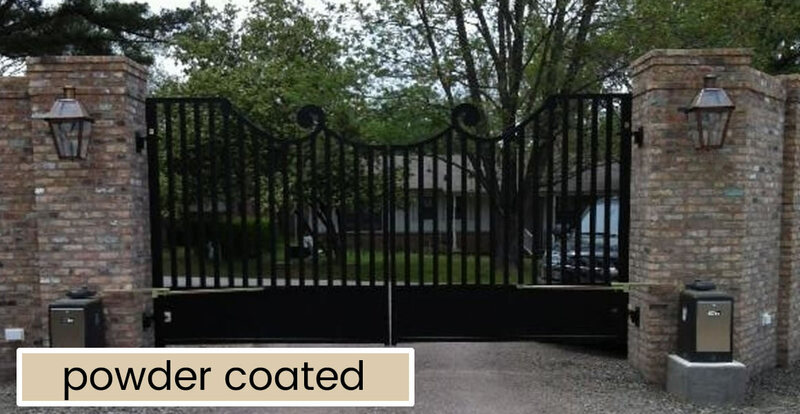 Have a look at the amazing quality of our gates. Automatic Gate DIY Installation Made Easy! See our 8-minute Gate Installation Video for a better idea of what it takes to Do-It-Yourself with our automatic gates. To help you even further, we have prepared an extensive Library of Installation Guides created by our own in-house gate experts for configuration with our most popular gate openers and remote access equipment. Of course we also supply manuals from the manufacturers. We will be adding more gate installation videos over the coming months. Stay tuned! 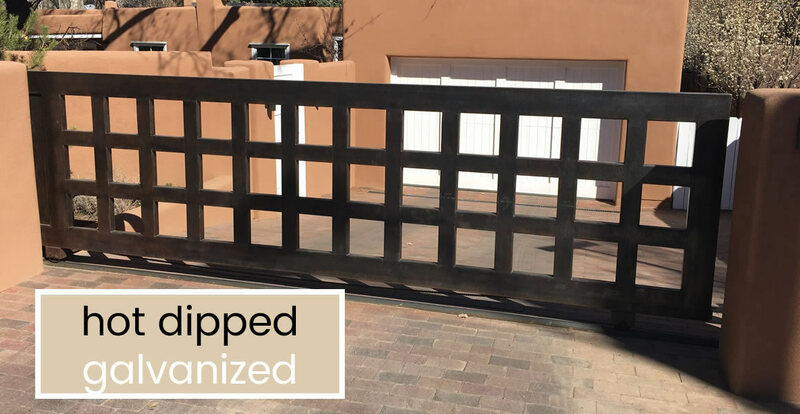 Thousands of Do-It-Yourself homeowners and building contractors have successfully installed an automatic driveway gates from Amazing Gates. The only requirements are a few tools and some handyman experience. Please visit our D.I.Y. Help Center where you can find a number of resources to help you select and install your automatic gate. 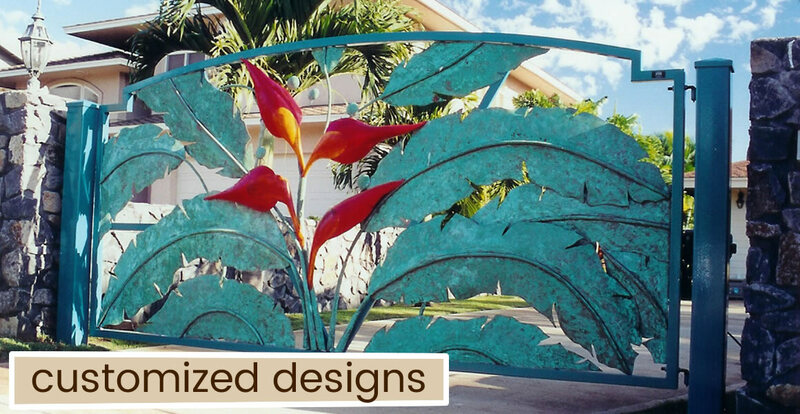 Also see our wrought iron fence and swimming pool fence to complete your project! 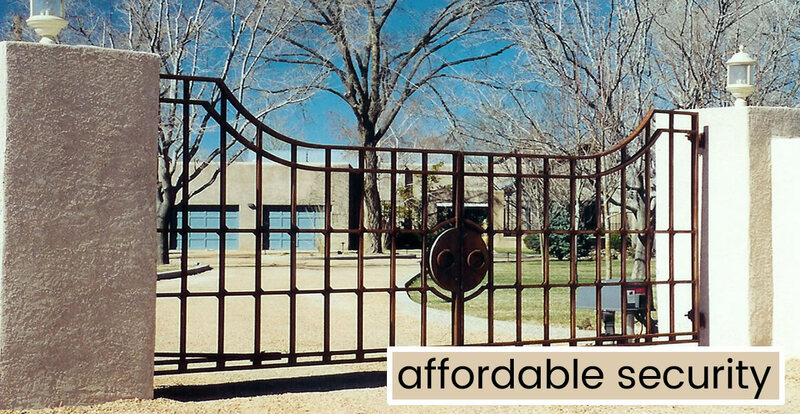 For contractors we offer quantity discounts on all fence, driveway gates, garden gates, and some equipment. Please shop around and give us a call at 1-877-313-8901 for pricing.